Darrell currently serves as the VP of Corporate Systems & Business Intelligence at HealthSouth Corporation. In this role he has responsibilities for HR, Financial and Supply Chain software; Database Administration and Systems Integration; Data Warehousing, Business Intelligence and Analytics; Application Development, Quality Assurance and Application Support; along with Health Information Exchange strategy and integration. Prior to joining HealthSouth in 2011, Darrell spent 17 years at Blue Cross and Blue Shield of Alabama where he most recently served as their Director, Enterprise Architecture and Chief Architect. Prior to his time at Blue Cross he worked for 2 years at Infinity Insurance and 6 years as an active duty U.S. Navy Officer. 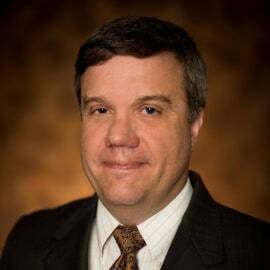 Darrell received his Bachelor’s in Political Science from Auburn in 1985 and his Masters in Management from National Louis University in 1991.